Programme for the SOTA Postgraduate Conference Announced! On Thursday 18th September and Friday 19th September, the School of the Arts will be convening its annual postgraduate conference. We are looking forward to keynote lectures on Thursday 18th September by Visiting Professor, Victor Ukaegbu (The University of Bedfordshire) and Professor Ebitsam Ali Sadiq (King Saud University) on Friday 19th September. 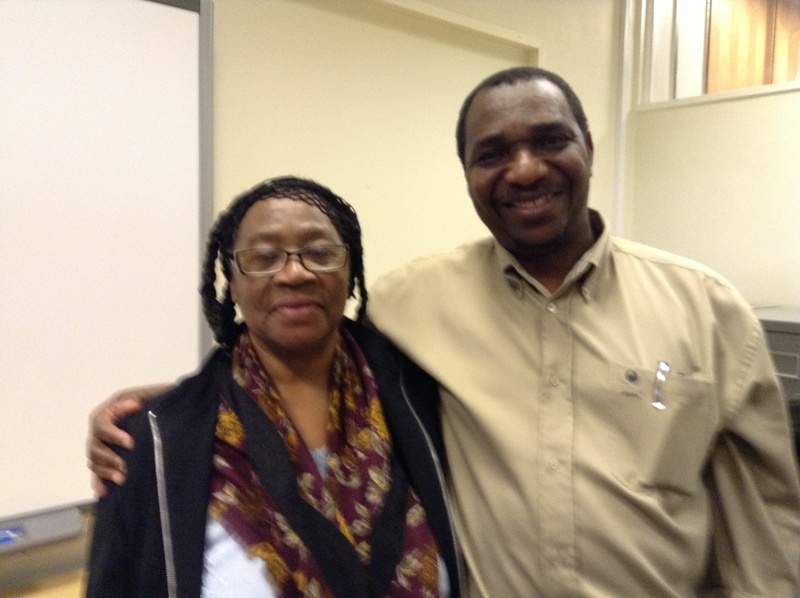 Visiting Professor Victor Ukaegbu with a member of the Northampton Black History Association. On Thursday 18th September, staff and postgraduate students have also been invited to a conference dinner at the Oriental Garden Restaurant, before heading to watch an adaptation of Pat Barker’s Regeneration at the Royal and Derngate Theatre. On Friday 19th September at 10.00 am in Room MY35, we will be holding a second meeting in relation to the launch of a new SOTA E-Journal. Any SOTA postgraduate students who are interested in being involved in this initiative are strongly encouraged to attend. For information on the times and locations of talks and panel sessions, please see the School of the Arts Postgraduate Conference Programme (2014). 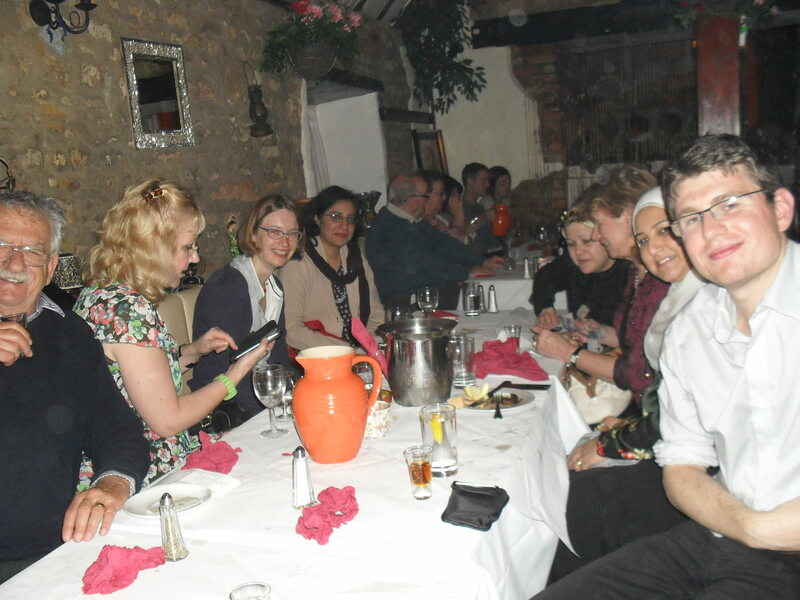 Last years SOTA Postgraduate Conference Meal at Les Olives, 19 September 2013. Posted on September 10, 2014, in Conferences, Events, News, Northampton Business School, Researcher careers, School of Education, School of Health, School of Science and Technology, School of Social Sciences, School of the Arts, Workshops & Training. Bookmark the permalink. 2 Comments.